Are you in need of wardrobes? Stop your search now as you have arrived at the right place. We are known for our vast collection of furniture for home décor and designer wardrobes are perhaps one of the most important part of that collection. Whether you require a small wardrobe for your office or a single wardrobe for your room, we specialize in all. Our wide range of modern wardrobes including sliding door wardrobe will not only synchronize with any style of interior furnishing but will also beautify your home’s interiors. Our bestsellers include mirrored wardrobe, 3 door wardrobe and the beautifully designed white wardrobe that will surely grab your visitors’ attention. 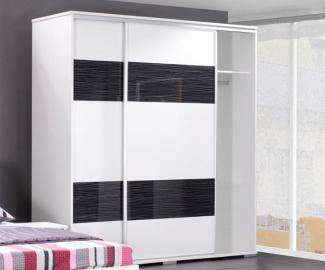 If you require bedroom wardrobes with sliding wardrobe doors, we even have a collection of these types of wardrobes to help you choose from. Wardrobe sliding doors are often vulnerable to wear and tear with regular use but our high-quality products prevent the possibilities of any such scenarios.